Liz Jones Turns In Her "Recession Woes" Piece, But Will It Change Anything? After realizing her insane spending habits, which include a "£26,000 bat sanctuary," are to blame for her enormous debts, Liz Jones decided to try to live on £64.30 (or roughly $106) per week...and she actually learned something. Sort of. It is very easy to mock Jones; her column is often tone-deaf and condescending, and she seems to take pride in ripping down the "little people" who just don't seem to understand her way of life. As is the case with many recession based pieces, Jones took this opportunity to play poverty for a week or so, noting that her experiences without the comfort of her credit cards taught her that "Money puts you in a thoughtless cocoon. It was as if I'd been wearing really dark (designer, obviously) shades and someone had rudely whipped them off." Jones is shocked by the costs of beauty treatments, food, and transportation, noting that she's laughed at when she doesn't have the proper fare on a bus and humiliated that she has to shave her own legs for the first time in decades. It is your standard "how DO poor people get by?" article, though there are moments were I actually felt quite sorry for Jones, notably in a de Maupassant moment wherein she attempts to pawn a set of pearls her father gave her when she was 18 and discovers that the pearls are fake and ultimately worthless. "He pushed them back under the thick security glass. 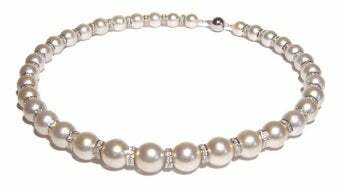 I started to cry," she writes, "Not because my dad had bought me plastic pearls, passing them off as real ones. But because my parents had been unable to buy nice things." This is Jones' basic problem: she equates things with success. She cries because her parents didn't have the money to buy her the real thing, not because she's realized that the "real thing" isn't what made those pearls so important to her. Jones' life is measured in brands and belongings, and she's willing to overlook the fact that even though her "experiment" eventually ends, she's still thousands of dollars in debt and ultimately should be living frugally in order to pay her damn bills. But as much as she protests otherwise, I have a feeling Liz Jones will keep buying bat sanctuaries, and Liz Jones will keep acting stunned that some people take the bus, and Liz Jones will keep writing pieces about how brave it is to try to walk away from an extravagant life in order to face reality. Every so often she picks up a stone and attempts to smash the facade she's carried for so long. Unfortunately, she lives in a plexiglas house, and the stones she throws don't even make a dent.